Discussion Guide: Holiness Comes from the Inside Out. treasure. Truth. Wisdom. Justice. Is a relationship helped or hindered by ‘laws’? What religious guidelines do you ‘observe carefully’? What practices have you found help you feel ‘close’ to God? together. He paints a beautiful picture: a disciple is like a new birth, a new creation of ‘truth’ made from the WORD. Like the first-fruit of a plant, the seed of the word is planted in us and should show itself outwardly. Eventually the aim of the plant is to ‘look like something’ – actions of caring for orphans and widows (the lowest in society) and an ‘unworldly’ character. Planting takes some preparation and nurturing. How could you allow the word to be more fully ‘planted in you’? It is easy for religion to be ‘skin deep’. Who are ‘orphans’ and ‘widows’ in your life? What would it look like for you to be ‘unstained by the world’ – less worldly? challenged this dynamic of oppression and exclusion under the guise of holiness. How might Jesus challenge us today? authentic holiness look like for you? Do you consider these inner characteristics harmful? What virtues could you practice as their ʻantidoteʼ? Bolshevik Revolution in 1917, spread of facism, Church’s loss of political power, decadence of 1920’s. Instead of simply writing a Church document which are read by only a few, Pius XIrecognised a ‘Feast’ of the Church would be celebrated by the whole Church every year and speak not only to the mind but also to the heart. At first it was celebrated at the end of October but it now rests at the very end of the Liturgical year to enhance the experience of meeting Christ at the ‘end of time’. • In a farming culture, the image of a Shepherd and Sheep was extremely special. Israel saw it as an image of God looking after them. Ezekiel uses this image and creates a picture of what God ‘will’ do (11 times!). Tend. Rescue. Pasture. Rest. Seek out. Bring back. Bind up. Heal. Destroy. Judge. What word speaks more to your life at the moment? Have you experienced a call to shepherd others? ‘overcome’ so that everything will eventually fall ‘under his feet’. What powers and sovereignties do you see at work in the world today which require christians to do ‘battle’? to ‘love your neighbour as yourself’. Is your love truly extending to your neighbour in need? • Separating sheep (honorable) from goats (shameful) was a daily ‘end of the day’ task for shepherds. Goats were not as strong and did not manage the cold. Goats allowed male goats to access other female goats which was also considered a shameful behaviour. An honorable life is a ‘righteous’ life – where we show by our actions a care for those in need. Interestingly, the title ‘righteous’ was a title given by the poor to those who helped them. At the end of time wouldany of the ‘poor’ stand in your defence and give you the title ‘righteous’? • What is one action that you will do to ‘livetheword’ this week and serve your servant King? • If you ever experience God being ‘distant’ the words of Prophet Isaiah may help. He speaks and writes to God’s people feeling distant and away from home. Yet they cannot go back to Jerusalem and the Temple. They are refugees in Babylon and their Jerusalem Temple has been demolished. Isaiah invites you to turn inward, seek the Lord where he may be found – in your heart. Does your lifestyle allow for quiet time to stop and listen to your spirit and to God? • Paul is writing from Prison. He may be put to death. He could argue with Roman authorities that he has been unjustly treated and begin the legal battle. He could be passive and let God’s plan unfold. He is torn in two directions. Have you experienced being torn between two good options? An earthquake and conversion of the jailor provides the way forward. Could you trust God’s design of providence and guiding your life like Paul? • Laborers would often stand in the middle of town waiting to be selected for jobs. At the heat of midday, and not having been selected for a job, many would walk home downcast. What do the laborers feel? In desperation some continue to stay until 4pm! What is strange about the landowners (God) behaviour? • The Parable of the Laborers in the Vineyard is also called the Parable of the Generous Landowner. It is only found in the Gospel of Matthew. Matthew’s Christian community was Jewish but gradually became filled with more Gentile converts. Jews who had served long and hard in faithful obedience to the Laws of God now witnessed Gentiles coming in at the last ‘hour’ and receiving the same ‘reward’. They were upset. God is unmasked in this parable as one who is generous. Were you upset or delighted in this parable? Why? • The landowner’s (God’s) generosity in the parable creates a problem. The world’s expectation is strict justice. More hours worked = more money earned. Few hours worked = little money earned. Does this build a ‘just society’? Why is justice easier to manage than mercy? Why is it easier to be legal than loving? Does it mean that we give up control of destiny and judgment? Why should everyone receive a ‘just wage’? The book of Sirach was a collection of wisdom sayings, attempting to show the beauty and depth of Jewish wisdom. Personally imagine the scene of water and fire before you. What do these symbols represent in your personal life? In what ways do you stretch out your hand toward water? Toward fire? What joy have you found in reaching toward water? What wisdom have you found in being ‘burnt’ by fire? ‘If you choose’ you can keep the commandments is pointing to human free will and capacity of each of us to follow the ways of God. The meaning of the word ‘commandment’ actually means something placed into your hand. Do you see the guidance of ‘laws’ and teachings of Jesus and the Church as a ‘stick’ or a ‘message of love placed into your hands’ by someone who loves you? What is the consequence of viewing ‘laws’ as ‘a stick’? St Paul had many people in the Corinthian community turn against him. A particular group in the Corinthian community claimed to be more spiritual and knowledgeable. St Paul humbly points out that academic and worldy debate is not the sign of true wisdom from God. Knowledge and wisdom are different. Wisdom is found in love and often through suffering. And the spirit is present especially in those who love God. Who is a wisdom figure for you? How do you see love present in their life? The Gospel of Matthew is unique in that the community began with Jewish Christians, and then was increasingly joined by Greek converts to Christianity. Jewish Christians had grown up keeping all 613 laws of the Old Testament. Scribes (scripture scholars) and Pharisees (lay men determined to keep all the Jewish laws exactly) prided themselves on being ‘righteous’ and yet Jesus says their living is ‘shallow’. Jesus invites followers to live far more deeply. Murder is healed when people resolve their ‘anger’. Adultery is healed when people can live and look upon each other without ‘lust’. Easy divorce is not a positive option. Let your word be always true in Yes and No. Anger. Lust. Relationships. Lies. What area do you need to work to transform so your life is living in right relationship with God and others? Recall if any brother or sister has anything against you. 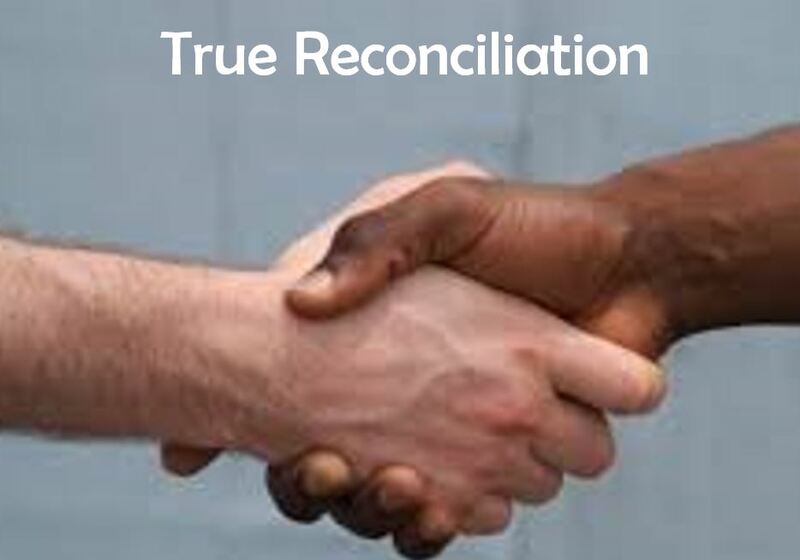 What would the invitation ‘go first and be reconciled’ before coming to Sunday Mass personally mean for you? St Paul continues to teach the Galatian community about the true nature of freedom. Freedom is really being ʻfree for othersʼ. To not be attached or enslaved to material possessions and self indulging desires (flesh) requires discipline and effort. In what area of your life could you make a daily prayer this week for God to help you? Is there an action you could do to enter this particular journey of ʻfreedomʼ this week? Trinity Sunday has its origins in the Arian controversies of the 4-5th Century (denying the divinity and humanity of Jesus). These arguments resulted in the Nicene Creed being formulated and an increase in preaching and devotion to the Holy Trinity arose. By the year 1000 the Feast of the Trinity was celebrated on the Sunday after Pentecost. The passage from Proverbs is a unique reference to the Wisdom of God personified, playing, creating ‘beside God’. At times it has been interpreted as reference of the Word of God (Jesus) or the Power of God (Holy Spirit). Have you ever considered Jesus having a preexistent life before being ‘born of Mary’? What does this mean for Jesus’ relationship with the Father? What strikes you about the image of God in the passage from Proverbs: Have you ever considered God ‘delighting day by day’, ‘playing….’ How might this help you relate to God? St Paul shares with his community in Rome that the experience of Christian faith brings peace and hope. Sometimes we can only know what we have by imagining what life is like without it. What would life be like for you without Jesus? Jesus knows that disciples are not ready to know the complete truth immediately. Have you experienced the gentle guidance of the spirit into a deeper truth and freedom? Is there any area of your life where you desire more freedom? Do you recognise the desire for a deeper freedom is the sign of the spirit? What is the ‘truth’ (desired in you by the Spirit) that you would like to live? Reflecting over the past week consider any ‘God moments’ where you have felt God speaking to you through experiences, people, books, prayer time, emotions… in a sentence what do you think God is trying to ‘speak’ to you? Consider entering a time of prayer with each person of the Trinity. What would you like to pray in thanks and praise to the Father, Son, Holy Spirit? What would you like to ask for? The work of the Holy Spirit is to ‘glorify’. Have you experienced your mind and heart being turned to wonder and awe at creation, salvation, the sacraments of the Church, the gift of heaven? When was the last time you experienced a deep sense of rejoicing and praise / glory to God?